Australia is pushing ahead with plans to withdraw citizenship of Australia-born children of immigrants who join the Islamic State, immigration minister Peter Dutton said Thursday. The Canberra government wants to change the Citizenship Act to make fighting for Islamic State (IS, formerly ISIS/ISIL) in Syria and Iraq a reason for losing one’s citizenship, AP reports. "I can hardly walk down the street without people saying: 'Why do you let these people back into our country? They come back more radicalized. They are a huge threat to Australian citizens. We should act and that's what the government is doing," Dutton said. Parliament could probably change the law on citizenship without any obstacles from the constitution, as the Australian constitution makes no mention of citizenship, unlike the US Bill of Rights. The government also wants to adopt the UK legal model, which would allow Australian born children of immigrants, or actual immigrants, to be stripped of their citizenship and forced to take the citizenship of another country. However, Australians without claim to another nationality would not lose their citizenship. 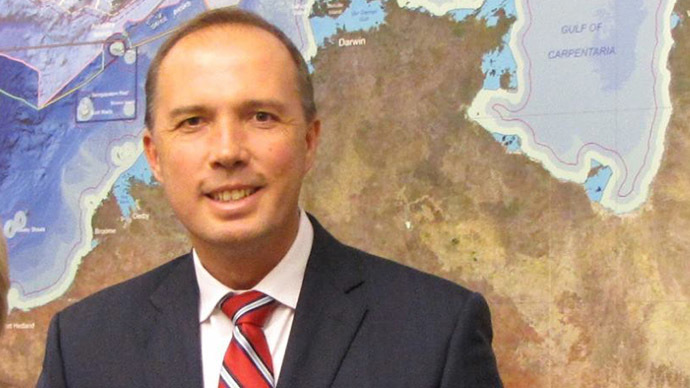 "The principle for us, which is very important, is that we don't render people stateless," Dutton told Sydney Radio 2GB. But critics say that Australia should take responsibility and imprison its terrorists rather than shunt them off to other countries. Two weeks ago the 17-year old son of a Syrian doctor became the 23rd suspect to be charged with terrorism offences in Australia since September of last year. Police allege he had three pipe bombs in his house in Melbourne and was planning an attack. Between 100 and 250 Australians are estimated to have joined IS in Iraq and Syria, according to the London-based International Center for the Study of Radicalization and Political Violence. Australia has a population of just 24 million. In contrast only 100 fighters have joined from the US which has a population 13 times that of Australia. Australia raised its national terrorism warning to the second highest level in September and since then 288 passengers have been prevented from boarding flights leaving the country, the government said Thursday.